Salvatore "Toto" Cutugno (born 7 July 1943) is an Italian pop singer-songwriter and musician. Cutugno may be best known for his worldwide hit song, "L'Italiano (The Italian)", which was on his hit CD, I Grandi Successi. Biography edit: Toto Cutugno was born in Fosdinovo, Tuscany, to a Sicilian father and a Tuscan mother. Shortly after his birth the family moved to La Spezia (Liguria). He began his musical career as a drummer, but later formed a band that performed his own songs. He also had cowritten for popular French-American singer Joe Dassin, contributing some of his most famous songs, including "L'été indien" ("Africa"), "Et si tu n'existais pas" and "Le Jardin du Luxembourg" (written with Vito Pallavicini). He also co-wrote Dalida's "Laissez moi danser" ("Voglio l'anima"), which became a Platinum record shortly after its release. In 1976, Cutugno participated for the first time in the Sanremo Music Festival coming up with third place with his band Albatros with the song, Volo 504. 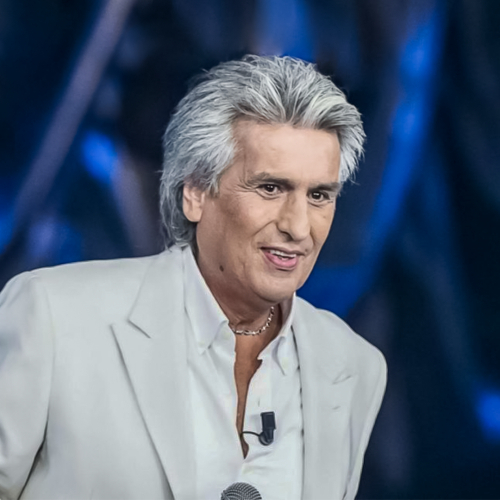 He then won in 1980 with the song "Solo noi", and subsequently finished second in six editions: in 1984 with the song "Serenata" ("Serenade"), in 1987 with "Figli" ("Sons" or "Children"), in 1988 with "Emozioni" ("Emotions"), in 1989 with the song "Le mamme" ("The Mamas"), in 1990 with Ray Charles with the song "Gli amori" ("Loves", but entitled "Good Love Gone Bad" in Charles' version) and in 2005 with Annalisa Minetti with the song "Come noi nessuno al mondo" ("No One Else in the World Like Us"). Toto Cutugno participated in the festival a total of 13 times. However, Cutugno's iconic * L'italiano (1983) (The Italian') revived Italian folklore with the song's lyrics and a melody that provided an affirmation of the typical Italian. It was initially intended for Adriano Celentano, who declined. Cutugno is married to Carla Cutugno but had a son from outside the marriage to Nicolo. He won the Eurovision Song Contest in 1990 with his own composition "Insieme: 1992" ("Together: 1992"), a ballad which celebrated European political integration, and establishment of EU. Along with Gigliola Cinquetti, Italy's only other Eurovision winner from 1964, he presented the 1991 contest, which was staged in Rome as a result of his victory. He's also the first singer which also wrote lyrics and composed music of his song.